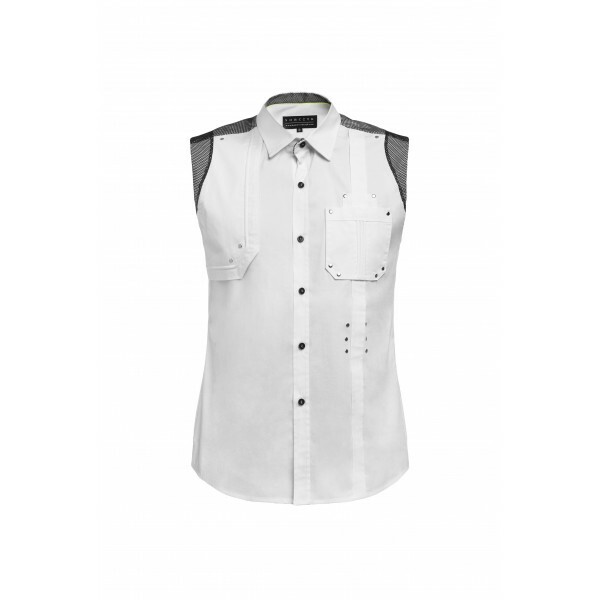 Beautiful sleeveless cotton shirt with classic collar. Straight shirt decorated with black and silver rivets. 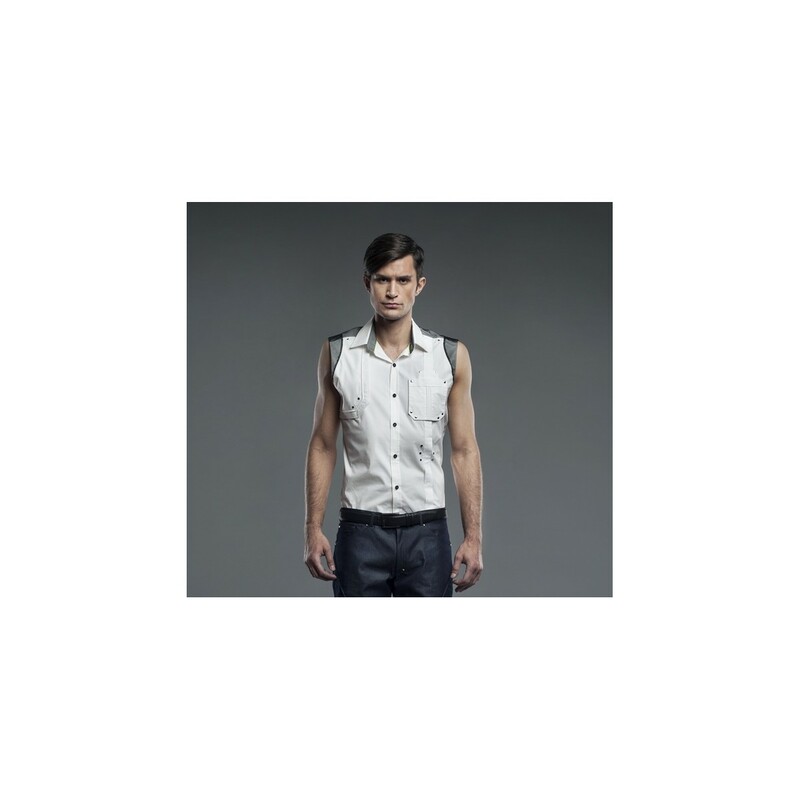 Black mesh inserted at the shoulders. A piece that can be worn tight. This model is available up to size XL. Closes with black buttons. Made of cotton, it is machine washable at 30 ° max.